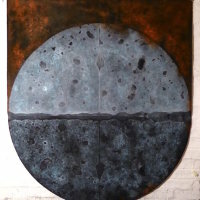 Nic Pehkonen's work occupies a space between painting and sculpture. 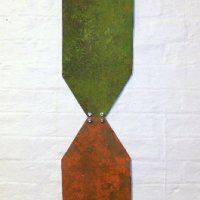 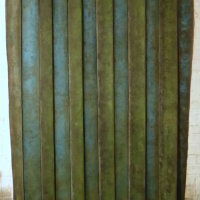 He primarily works with unstretched canvas cut or folded to shape both before and during the painting process. 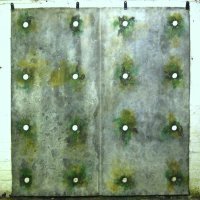 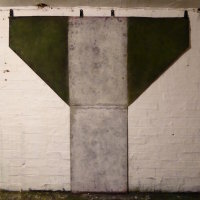 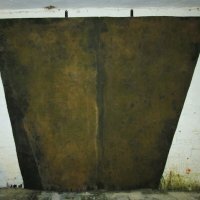 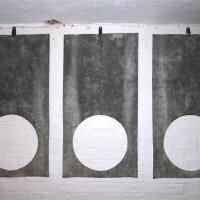 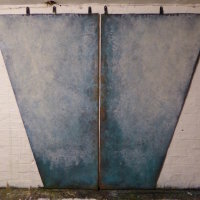 Architecture is a key influence in his work and the decaying concrete structures of the ex-military site at Orford Ness on the Suffolk coast are a recurring reference point.